Our law firm places a premium on performing detailed investigations and thoroughly working up each client's file. In a personal injury case, for instance, Mr. Duffee will personally review all the client's medical records and conduct a personal evaluation. We also focus our personal injury practice on serving injured individuals who need an experienced advocate to stand up to the insurance companies on their behalf. 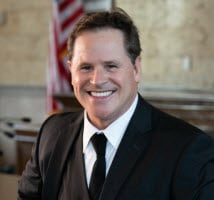 Mr. Duffee is a former insurance defense lawyer who uses his knowledge of the other side to obtain justice for our clients. Justice is our mission in all areas of practice. Duffee Law Firm, LLC, offers free initial consultations and accepts all major credit cards. To learn more about how we can be of assistance, call us today. Our attorney promptly responds to the needs of his injured clients by providing compassion for their situation and effective legal representation. At Duffee Law Firm, we have successfully tried and settled a wide range of accident cases involving cars, trucks, semitrailers, RVs, boats, motorcycles and off-road vehicles of all types. Our attorney has extensive experience interpreting medical records, interviewing witnesses and visiting the scene of the accident to gather the evidence necessary to win a wrongful death case. At our firm, we can help you through the complex workers’ compensation claim process. A criminal conviction can have many negative consequences. We can evaluate your case and determine if a reduction or dismissal of charges is possible.